Nightforce NXS scopes, one of the most popular line of scopes from Nightforce Optics, comes with both full size and compact models. While 1-4x24, 2.5-10x32, and 2.5-10x42 compact NXS models are perfect for law and order patrolling and hunting dangerous games (chase-and-hunt, gunning on 3-gun course, bush hunting, etc. ), the full size models are used in military and long range shooting. 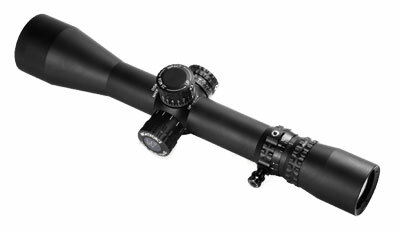 Nightforce NXS 3.5-15x50 scopes are most commonly used with small military arms. Nightforce NXS 5.5-22x56, on the other hand, is perfect for long-range shooting and Nightforce NXS 8-32x56 is the blue eyed boy for extreme long range shooting and hunting communities. You can use these rugged scopes in worst conditions. Whether you are a hunter, shooter, military personnel, law enforcer or long range shooter (even extreme long range ones), Nightforce NXS is perfect choice for all. What's more, buy your preferred Nightforce NXS scope at discounted price from Scopelist.